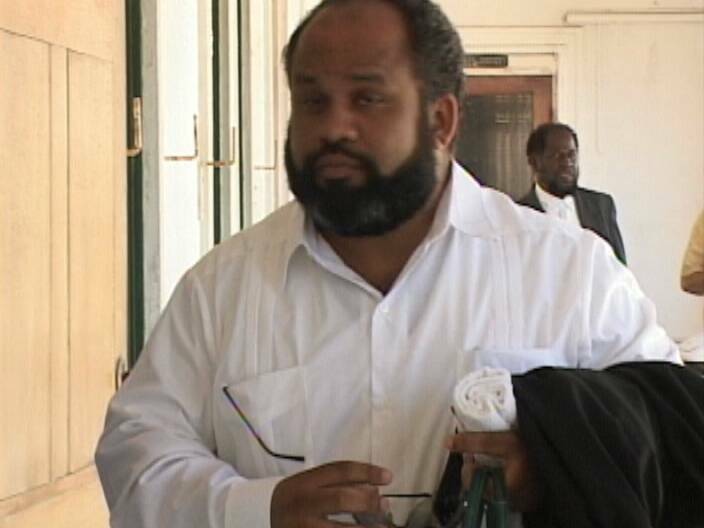 There is trouble in paradise for Kimano Barrow and Alfredo Acosta, as the injunction filed against Paradise Energy Limited continues to be in effect. Their oil contract was signed in June 2010, and shortly after its release, other shareholders appeared, including Oren F. Miles I and II, and Allen Saum. Saum and Miles, also principals in Miles Tropical Energy, fell out of favor with Barrow and Acosta. Now both groups are fighting over ownership of Paradise Energy since Acosta and Barrow alleged that Saum filed bogus ownership documents in the Capital. The four oil men squared off in the Supreme Court today with their attorneys. Acosta and Barrow were represented by Naima Barrow while Miles and Saum were represented by Hubert Elrington. After leaving the chambers of Chief Justice Kenneth Benjamin, Elrington said the injunction was slated to expire today, however, it continues to remain in effect. Chief Justice Benjamin will make a decision about the trouble in Paradise on the twenty ninth.